Underscoring the strength in small caps is this nugget. On Monday, 54 ETFs hit record highs. Of those 54 funds, more 30, or more than half, were small-cap ETFs. Add to that, several of last week’s top ETFs in terms new assets added were small-cap funds. There are reasons to believe the rally in domestic small caps can continue. From 2014 through the end of 2017, the Russell 2000 outperformed the S&P 500 just once on an annual basis, indicating smaller stocks have some ground to make up. 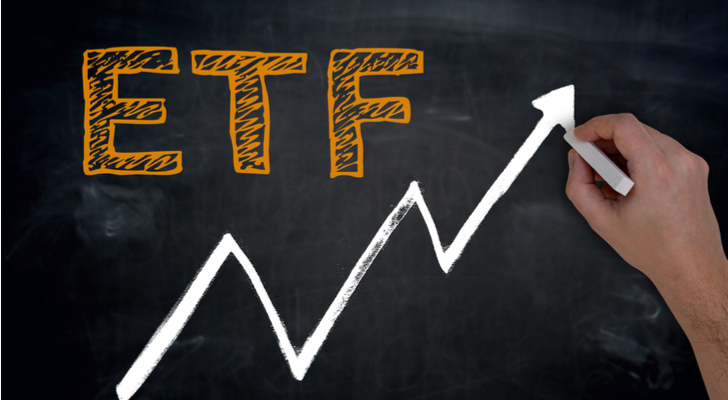 The following ETFs could offer significant upside potential should the recent small-cap rally prove to be in the early innings. Schwab Strategi/Schwab Fundamental (NYSEARCA:FNDA ) is a fund that uses a fundamentally weighted approach to smaller stocks. FNDA, which is nearly five years old, follows the Russell RAFI TM US Small Company Index. “This fund offers broad exposure to small-cap U.S. stocks but weights them on fundamental measures of size, including sales (adjusted for leverage), retained operating cash flow, and dividends plus share buybacks, rather than market cap,” said Morningstar. In other words, FNDA is very much a small-cap value ETF. That is a noteworthy trait because the small-cap/value combination has proven potent over the long term. FNDA holds 881 stocks, nearly 21% of which are industrial names. The consumer discretionary and financial services sectors combine for 30.7% of the fund’s weight. With Monday’s gain, FNDA is up nearly 6% this year and was one of the small-cap ETFs hitting new highs yesterday. An annual fee of just 0.25% makes this small-cap fund inexpensive among smart beta strategies tracking smaller stocks. Expense ratio: 0.24% per year, or $24 on a $10,000 position. Speaking of small-cap value funds, there is the iShares Russell 2000 Value Index (ETF) (NYSEARCA:IWN), the value answer to standard Russell 2000 tracking funds. IWN tracks the Russell 2000 Value Index, but that benchmark does not feature 2,000 stocks. Rather, IWN is home to nearly 1,400 small-cap stocks with the value designation. As has been seen in the large-cap space over the past several years, small-cap value stocks are lagging their growth counterparts and standard benchmarks. Over the past three years, IWN is slightly trailing the Russell 2000. Still, IWN lives up to its value billing with lower valuation metrics than the Russell 2000. This value fund allocates almost 31% of its weight to financial services stocks, while industrial and consumer discretionary names combine for 23%. IWN also hit an all-time high on Monday. Expense ratio: 0.05% annually, or $5 on a $10,000 stake. Small-cap ETFs usually sport lower fees than large-cap equivalents, but there are plenty of small-cap funds that are cheap. The SPDR S TR/SPDR Port Small Cap (NYSEARCA:SPSM) is one of the cheapest. In fact, SPSM is a prime example of what a difference a low fee can make. Prior to an expense-ratio reduction last October, SPSM toiled in relative obscurity among domestic small-cap ETFs. Since Nov. 1, 2017, the ETF has added nearly $759 million of its almost $1.1 billion in assets under management. SPSM holds just over 2,000 stocks, but tracks the SSGA Small Cap Index, not the Russell 2000. This small-cap ETF has different total return and volatility characteristics than the Russell 2000. The weighted average market value of SPSM’s holdings is $2.34 billion, putting it toward the higher end of small-cap funds by that metric. Small-cap growth ETFs have been participating in the recent smaller stocks rally as highlighted by Vanguard Small-Cap Growth ETF (NYSEARCA:VBK) posting a second quarter gain of 4.75%. One thing to note about VBK is that this small-cap fund’s 676 holdings have a median market capitalization of $4.7 billion, putting this Vanguard fund well into mid-cap territory. One point in VBK’s favor is that small-cap growth stocks are usually more volatile than broader smaller stock benchmarks, but this Vanguard fund has actually been less volatile than the Russell 2000 over the past three years. A hallmark of small-cap growth strategies is, usually, large weighting to the healthcare and technology sectors. Those sectors combine for almost 35% of VBK’s weight. The ETF’s largest sector exposure is 20.50% to industrials. Charging just 0.07% per year, VBK is cheaper than 94% of competing strategies, according to issuer data. Expense ratio: 0.29% annually, or $29 on a $10,000 investment. The J P Morgan Exch/Divsfd Return US SM (NYSEARCA:JPSE) is a multifactor small-cap fund. This ETF focuses on value, quality and momentum factors. JPSE follows the Russell 2000 Diversified Factor Index and weights member firms in a manner that helps diversify risk across the portfolio. While JPSE does not specifically target the low volatility factor, the fund’s screens can result in a portfolio with less volatility and the potential for lower drawdowns than are experienced with traditional small-cap strategies. Speaking of reduced volatility, JPSE’s combined weight to financial services, healthcare and technology stocks, sectors that are often volatile at the small-cap level, is 31.2%. By comparison, the Russell 2000 Index’s combined weight to those sectors is over 52%. JPSE is overweight consumer staples, telecommunications and utilities relative to the small-cap benchmark. Article printed from InvestorPlace Media, https://investorplace.com/2018/05/5-small-cap-etfs-with-big-time-upside-potential/.